A CD with free improvised organ music – without a safety net, no limitations with regards to contents or themes, without rehearsals… that was the idea in the summer of 2014. But it took quite some coincidents and new contacts which changed the idea into reality. I sent a demo to Wolfram Adolph of ifo classics and the magazine 'Organ' and got him interested in the project. 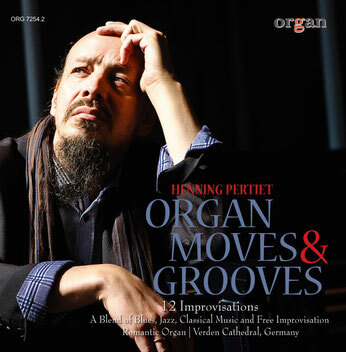 During the co-operation, Wolfram Adolph came up with some further suggestions which made their way into the recordings – and the result is the CD “Organ Moves & Grooves”. I'm really happy and proud of this piece of work!